Awt is using Smore newsletters to spread the word online. This is part 2 of a 6 part series on Macromolecules. Credits for this video may be found in part 6 of the series. Lipids are an organic molecule made of Carbon, Hydrogen, and Oxygen that is insoluble in water. ( note: ratio of H:O is much greater than 2:1) Lipids function as long term energy storage, insulation, and cell membranes. There are two types of lipids, saturated fatty acids and unsaturated fatty acids. Saturated fatty acids have no double bonds between Carbon atoms, are solid at room temperature, and are fats (lard/butter). Unsaturated fatty acids have double bonds between Carbon atoms, are liquid at room temperature, and are oils (ex: olive oil, canola oil). The monomers of lipids are glycerol and fatty acids, while the polymers are phospholipids (fat that makes up cell membrane) steroids (estrogen, testosterone and cholesterol) and waxes. This is part 4 in a series on Macromolecules. 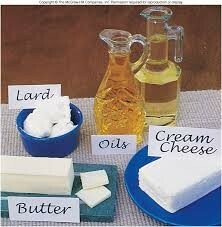 In this section we explain lipids (fats and oils). All credits for this may be found in part 6 of this resource. 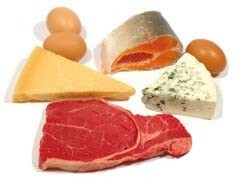 Proteins are organic molecules made up of Carbon, Hydrogen, Oxygen, and Nitrogen. The functions of proteins are support, transport, defense metabolism, homeostasis, and motion. 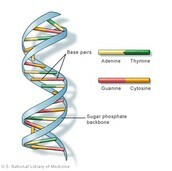 Protein's monomer is amino acids. This is part 5 in a 6 part series on Macromolecules. In this section we discuss proteins and their functions. All credits for this can be found in part 6 of the Macromolecule series. 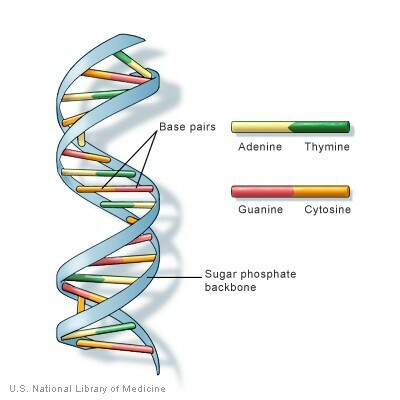 Nucleic Acids are organic molecules made up of DNA (deoxyribonucleic acid; genetic material) and RNA (Ribonucleic acid; copy of DNA used to make proteins). 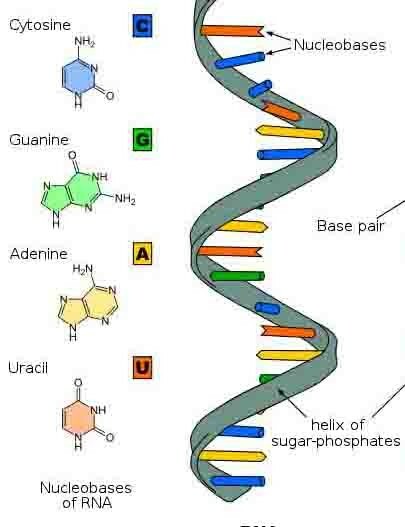 Nucleic Acids function as the code for the structure and function of cells, also as the code for proteins. 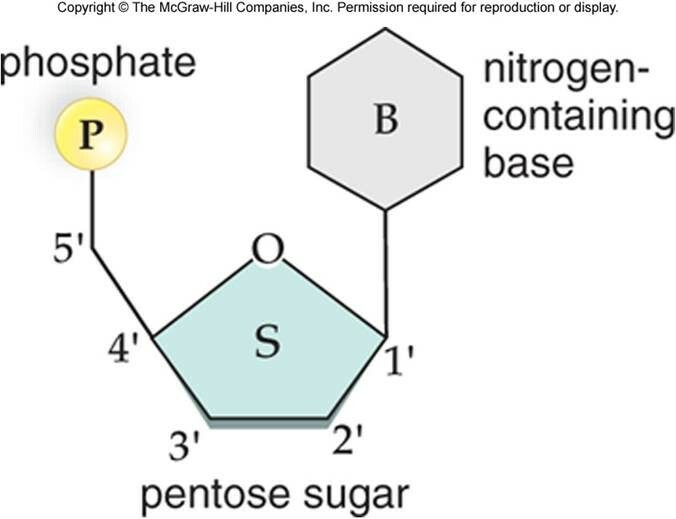 The monomer is a nucleotide which contains a sugar, phosphate group, and a nitrogen base. This is part 6 of a 6 part series on Macromolecules. 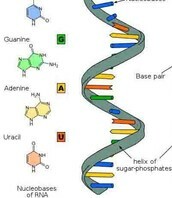 In this section we discuss DNA and RNA. This section also includes the credits for the whole Macromolecule Series.